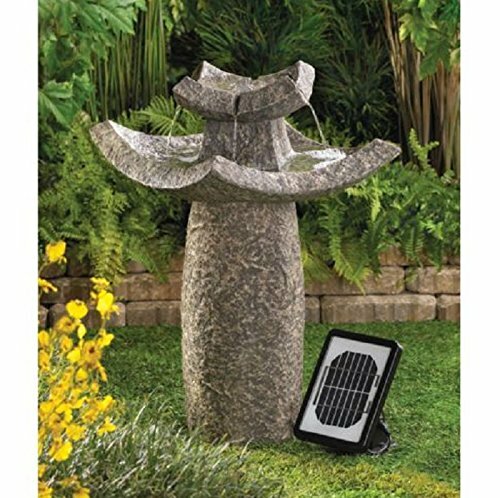 USA Premium Store ASIAN TEMPLE SOLAR & ELECTRIC WATER FOUNTAIN GARDEN YARD PATIO DECOR NEW~12844 | Fountain City Art Ctr. Specification Total Weight 16.5 lbs. 15 3/8" x 15 3/8" x 24 7/8" high. Polyresin, stonepowder, and sand. Solar panel, pump, electrical adapter included.